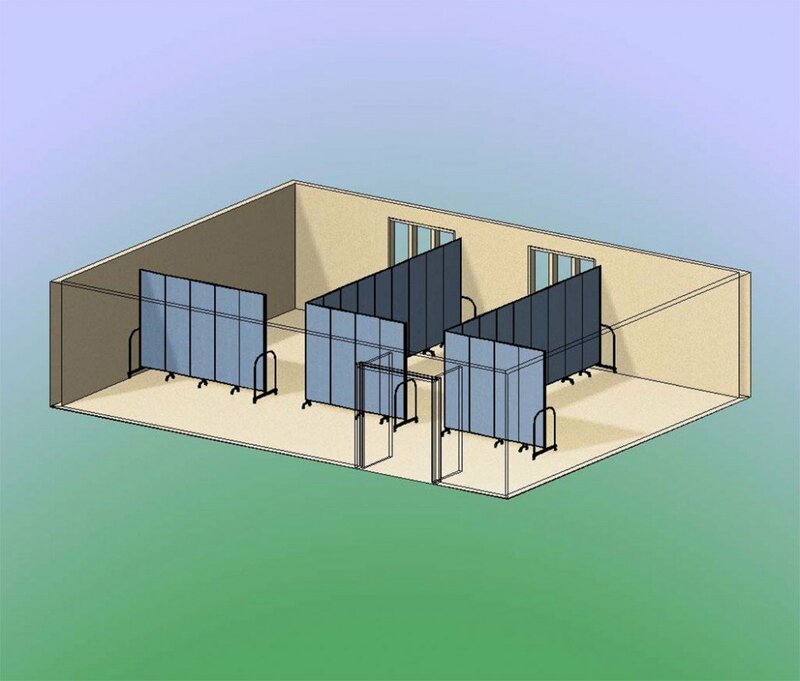 How can I make a simple room divider layout? This is a common question among organizations looking to divide up a room for classrooms, offices and the like. Our customers are usually surprised to learn that they don’t need as many dividers as they thought they would. In the example shown here, the back and side walls of the space are utilized. Longer dividers are used to make two walls, basically an “L”. A gap for a doorway is left at the entry point, but other options would be enclosing the room with dividers that would need to be swung open and closed for an entrance, or by ordering a Screenflex door or double doors for a slightly higher cost. Note that an adequate aisle is created in front of each room, no doors or windows are blocked and that the rooms, heating, and ventilation are in no way affected. 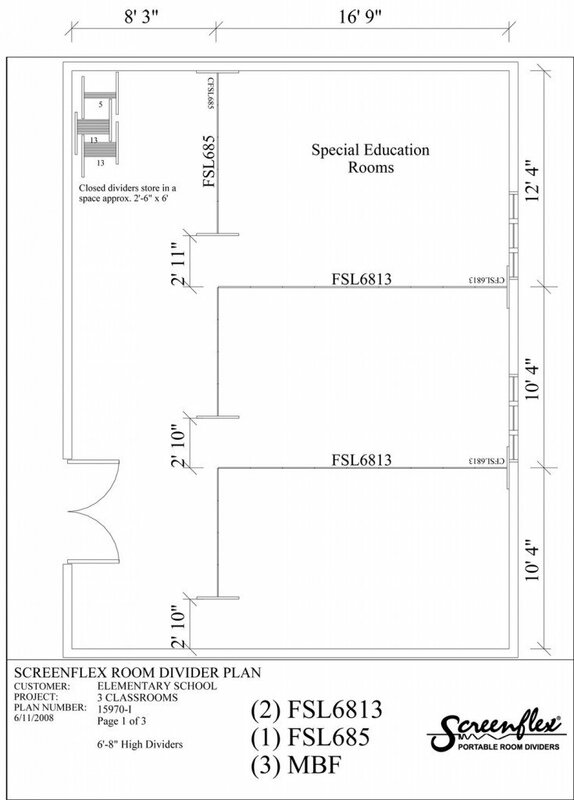 We offer planning services and you can view the plan in different format views as shown in the photos. This layout breaks down how each partition would be laid out by model number. It helps when you are recreating your room on-site.